Glam? Yes, ma'am. 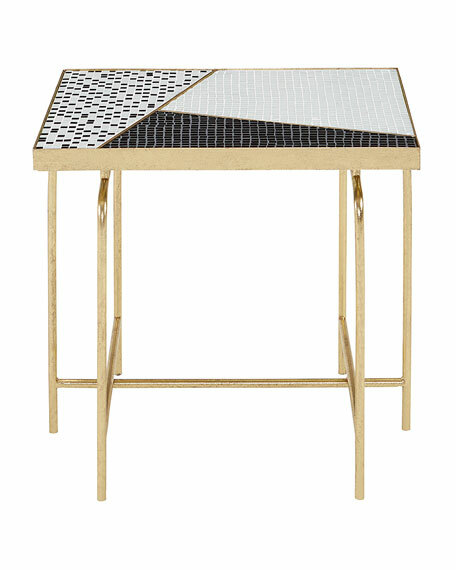 The side table features a monochrome mosaic inlay that boasts 60s-inspired colorblocking for dramatic effect. 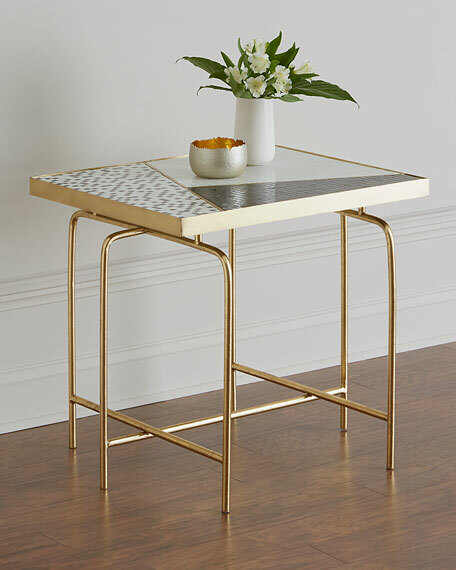 The tiled surface floats atop a delicate, gold-leafed metal base to create a striking focal point for your space. 26"W x 22"D x 24"T.
Iron, glass and nylon glides. For in-store inquiries, use sku #2510026.